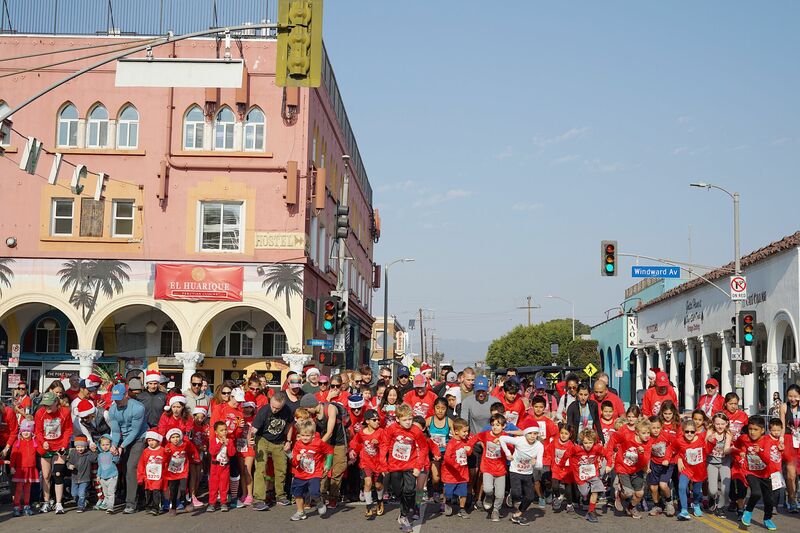 The Kids Run is one of the most fun parts of the Christmas Run! Kids receive a shirt and medal for an entry fee of just $20. 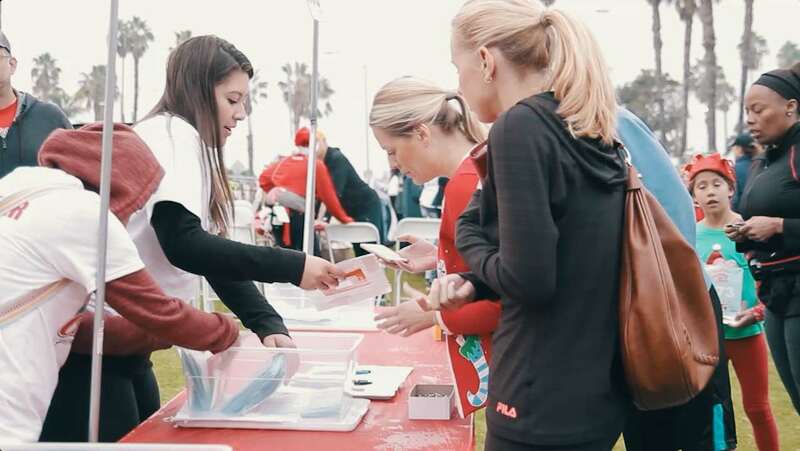 Join the fun at the finish line festival at Venice Pavilion. Music, costume contests, vendors, kids zone, holiday fun and more. 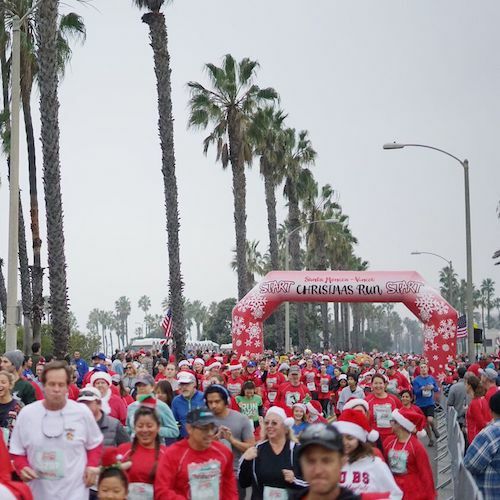 We’re celebrating our 42nd anniversary of the Santa Monica-Venice Christmas Run in 2019. Join us for two great races, the popular costume contests and the Kids Fun Run. 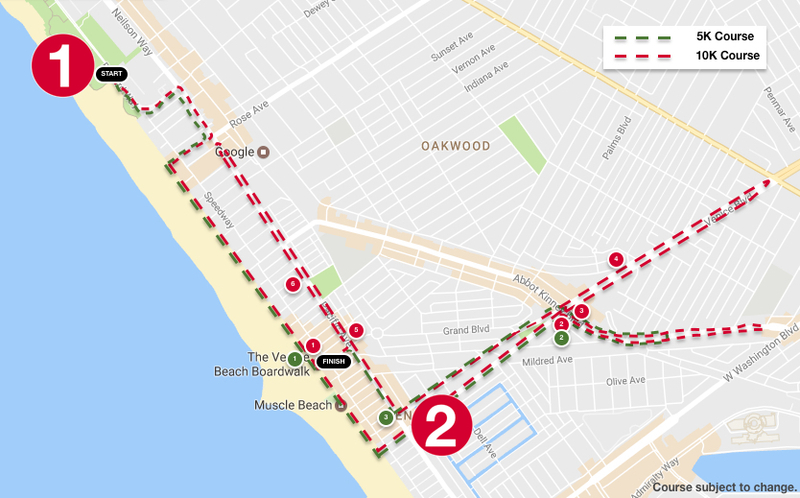 The race start is adjacent to Santa Monica Beach on Barnard Way near the intersection of Ocean Park Blvd. 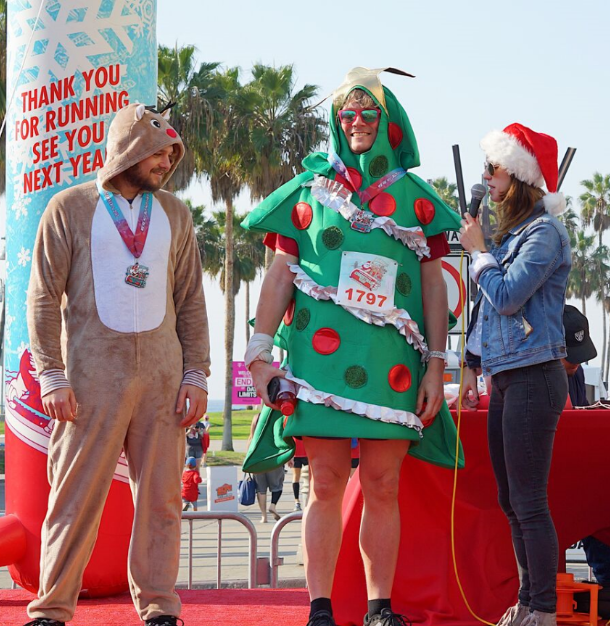 The Christmas Run 5K and 10K will run south from Santa Monica, down the world famous Venice Boardwalk, meander onto the scenic streets of Venice and finish at the iconic Venice Pavilion. 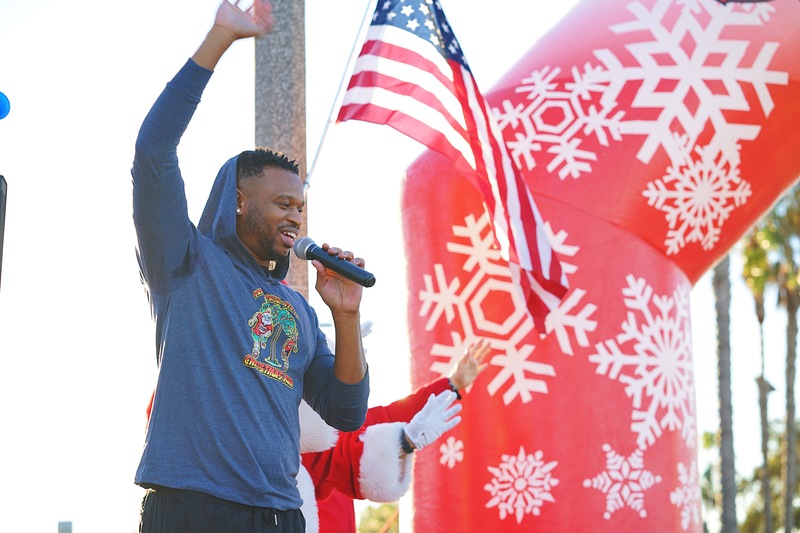 Join us for the finish line festival with costume contests, music, vendors, holiday inflatables and more. 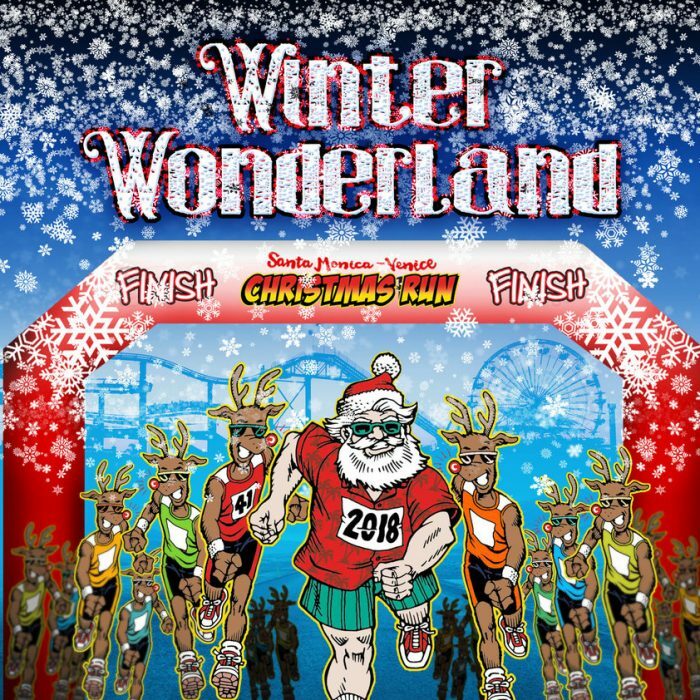 Bring the whole family and celebrate the holidays with your running friends. Entrance is off N. Venice Blvd only. All vehicles are required to exit on Dell Ave.